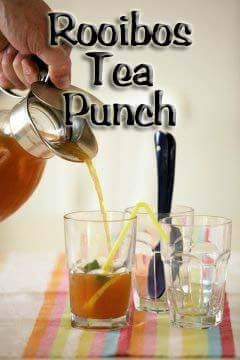 Iced tea that packs a punch! Make two jugs – one for the grown-ups and one without brandy for the kids. 1. Mix the tea, honey, orange juice, lemon slices, brandy (if you want a punch with a kick) and mint in a jug. Put it in the fridge to chill. 2. Pour into glasses with ice cubes and garnish with a fresh mint sprig.